Dancing and Music is a historical tradition. And Sports is a historical tradition as well. Dancing, such as: Ballet, Modern, Jazz, African, Contemporary, Vogue, Breakdancing, Burlesque, Cha-cha, Contemporary and Hip Hop, has been alive at social functions for centuries, and Swing and Latin are the Waltz and Foxtrot of days gone by. In recent years, social and professional dance, music and boxing have proved its long lasting presence in our lives. It is in our media, our music, our sports and day to day social functions. It isn't usually taught parent-to-child so people are seeking schools and centers where they can learn. With Ballet-Hip Hop Dance being considered as a media art, sport, culture and business most recently, more people will be exposed to social and Professional dance, music and sports. Most children and even many adults think that they will become a ballet dancer, a music mixer, or an exercise boxer though many to them know from the age of 5 or 6 that they love to move with music. Many dream to dance, play music and participate in sports (boxing, basketball, tennis) with a top city known for its dance, music and sports reputation. In a few months, that dream may be a lot closer as excited children and adults begin their training with the prestigious AKAstudios Dance and Van Stone Productions (VSP) Foundation, Inc. non-profit class. AKAstudios Dance and Van Stone Productions (VSP) Foundation, Inc. non-profit are dedicated to bringing quality and affordable dance instruction to the big city of Philadelphia and New York and the surrounding suburbs. 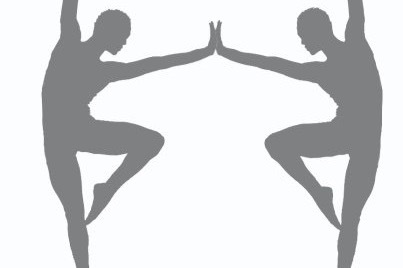 There is a very active and dedicated ballet-hip hop dance community already located in Philadelphia, New York and Jersey City and the surrounding suburbs. However, there has never been an actual ballet-hip hop dance studio, where these people can expand their knowledge of dance and enjoy being with other people of like interests. It is our plan to incorporate the existing dance community into our studio to begin with a strong base of supporters. From there we will be able to spread the word that dancing is a fun and exciting way to spend time and even learn business. There are many benefits to dancing that will attract people from many backgrounds and interests. Kashim Anthony Turpin and Van Stone, a son/father team, are the founders and owners of AKAstudios Dance and Van Stone Productions Foundation. They have both been very involved in ballet-hip hop dance and social dancing since 2004. Kashim Turpin has worked in dance studios in the New York and Jersey City area, where he was a dance instructor, supervisor and choreographer. In the last seven years, he taught private dance instruction as an independent contractor. Van Stone recently worked as a community organizer within the Philadelphia and Delaware Counties, where he worked for thirty years as a teacher in youth and children services, business management and contract management. Kashim has been a student of dance, taking lessons for many years. Kashim continues to dance socially and professionally. Together, Kashim Turpin and Van Stone will provide a strong team to make AKAstudios Dance and VSP Foundation a successful venture.